We’ve been very active lately in the Apache JMeter eco-system. We sponsored the development of the 7 last versions of JMeter-Maven-Plugin that allows to integrate JMeter in the build pipeline thanks to Maven. 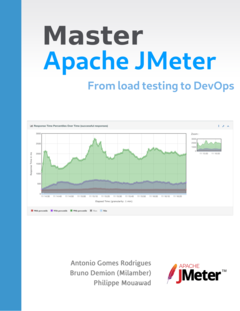 Many of these enhancements were inspired by training sessions we gave and aim at simplifying the use of JMeter in DevOps world. We’ll continue our efforts to make JMeter even better and enhance our UbikLoadPack solution to support more features that will make load testing easier and more accessible. Ubik Load Pack is a JMeter based solution for complex protocols. Follow us on Twitter and StackOverflow.